A GP practice has given its staff self-defence training because they are concerned about a rise in violence from patients. Keighley Road Surgery in Halifax, West Yorkshire, has taught staff how to protect themselves in case they are attacked. It comes after NHS figures have revealed more than 3,000 people had to be banned from seeing their doctor in 2018 because of their abusive behaviour. And health service staff say they witnessed rising levels of physical and verbal abuse among the approximately 300million GP appointments last year. NHS figures reported by the BBC reveal thousands of people were so badly behaved they were added to the service’s register of violent or abusive patients, the Special Allocation Scheme, in 2018. The revelation comes after yesterday’s NHS staff survey revealed a rising proportion of workers have been abused or harassed by patients or the public. 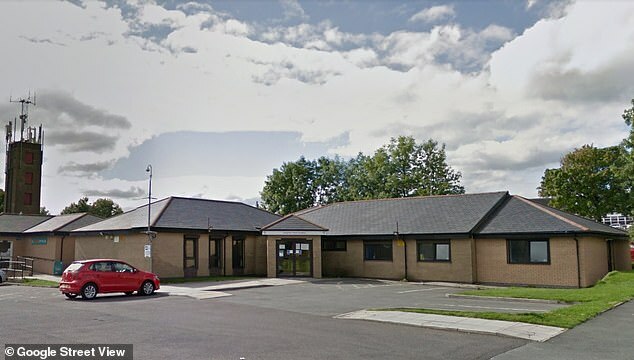 Will Menzies, the business manager at Halifax’s Keighley Road Surgery, said the practice decided to teach staff self-defence after a patient threatened to kill him. He told the BBC: ‘Two years ago, a patient rang the surgery wanting some medicine and he became increasingly aggressive. Staff working at the surgery recently asked for training on how to defend themselves in the event of an attack, Mr Menzies said – he called the abuse a ‘growing issue’. In another surgery, in Leeds, a practice nurse said patients are getting increasingly angry when they don’t get what they want. The woman, known under the pseudonym Lucy, told the BBC: ‘I know one nurse who’s been assaulted in the surgery, and I’ve been left scared dealing with verbally abusive patients. Freedom of Information figures released by the NHS showed 3,024 people were added to the register of abusive patients in 2018. Birmingham and Solihull’s local NHS group was the worst affected, with more than 100 patients put on the list. Manchester, the London boroughs of Harrow and Islington, Ipswich and East Suffolk, Liverpool, Sandwell and West Birmingham, Devon, Cambridgeshire and Peterborough, and Newcastle Gateshead made up the 10 worst. An NHS England spokesperson said the health service has ‘revised its Special Allocation Scheme last year to help ensure practices maintain a safe environment for their patients and staff’. Almost one in three ethnic minority NHS staff were abused by patients or members of the public last year, a survey has revealed. The NHS Staff Survey 2018, published yesterday, revealed 29.8 per cent of non-white health workers said they have experienced harassment, bullying or abuse from the public within the past 12 months. The figure is the highest in six years and a rise of 1.3 per cent from 28.5 per cent in 2017 – the same figure for white staff is two per cent lower and is falling. Around 1.1million people work for the NHS, 19.8 per cent of whom – approximately 230,000 people – are from non-white ethnic groups. Physical violence at the hands of patients, relatives and members of the public has fallen, but harassment and abuse rose last year for both white and non-white staff. During the past four years, the proportion of black and ethnic minority staff reporting abuse or harassment from the public has risen from 29 per cent to 29.8 per cent. This is the highest since 2012, when the comparable figure was 31 per cent. The same figure for white staff fell from 28.4 per cent to 27.4 per cent over the same period, widening the race gap. NHS Employers’s chief executive, Danny Mortimer, said: ‘We cannot ignore the fact that staff are increasingly feeling unwelcome pressure for a variety of reasons.